CubeRRT can now be tracked live by using its NORAD Catalog Number, 43546, at a variety of tracking websites. Its TLE is also available directly from CelesTrak. 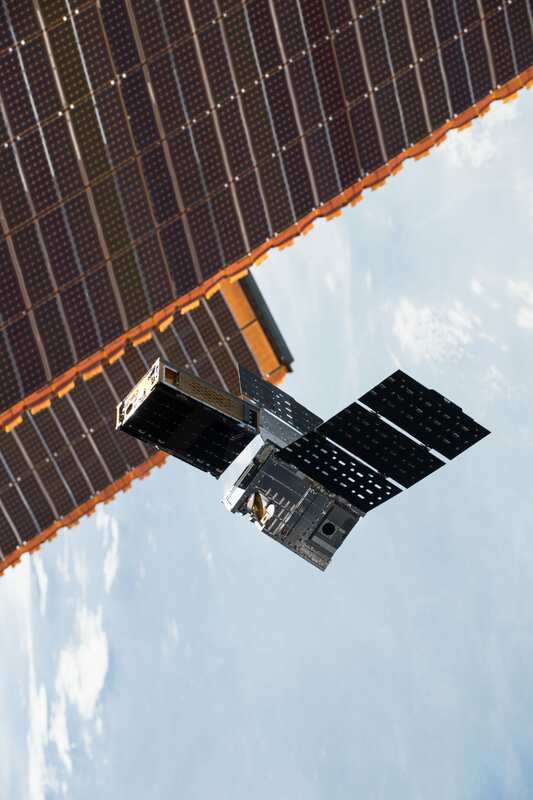 CubeRRT was deployed from the International Space Station on July 13, 2018. Up until this time, a Nanoracks deployer had housed CubeRRT and another 6U CubeSat, TEMPEST-D, within the ISS. The two were pushed out of the ISS together, but will gradually separate to establish their own distinct orbits. Initial contact has been made with CubeRRT using the Globalstar communications network. Telemetry from the spacecraft indicates that its power, attitude control, and thermal systems are all working as expected. Upon successful communications using the onboard UHF radio, CubeRRT will begin its bus and payload commissioning which expected to last about 3 weeks. After a one-day delay due to weather, CubeRRT was launched aboard the OA-9 resupply mission to the ISS on May 21, 2018. 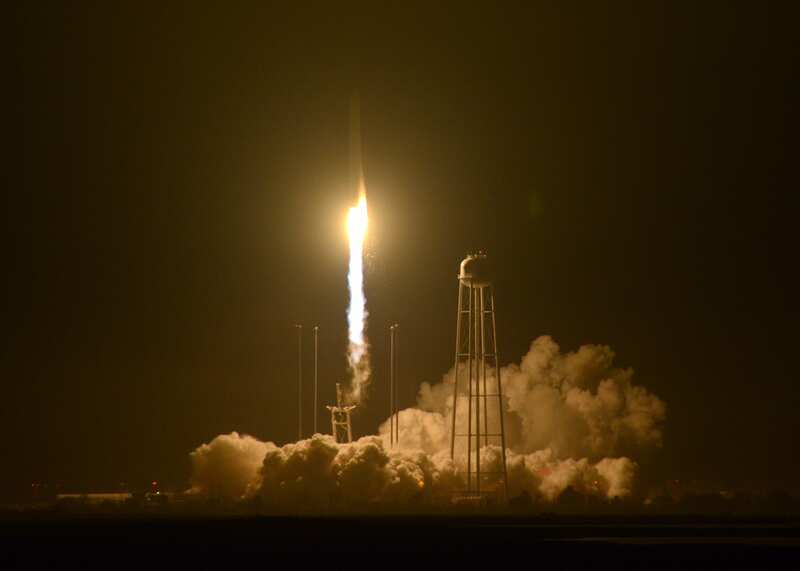 Several members of the CubeRRT team witnessed the launch at Wallops Flight Facility. CubeRRT is one of nine CubeSats in the Cygnus cargo carrier, which docked with the space station three days later, on May 24. Leading up to the launch, CubeRRT was featured in a Facebook Live broadcast from the Range Control Center at Wallops. CubeRRT also appeared in a news story on ABC 6 in Columbus and in the EEs Talk Tech podcast by Keysight Technologies. 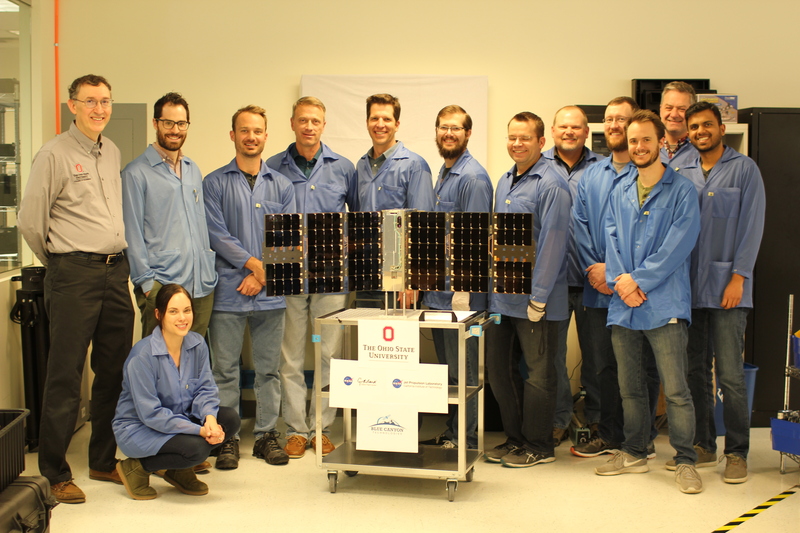 The final stages of CubeRRT testing were completed in March at Blue Canyon Technologies. Testing was followed by delivery to NanoRacks for integration into the CubeSat deployer, which is the mechanical assembly that is sent to the ISS and will ultimately set the satellite into orbit. The launch date has been changed and is now scheduled for Sunday, May 20 at 5:04 a.m. from Wallops Flight Facility in Wallops Island, Virginia. 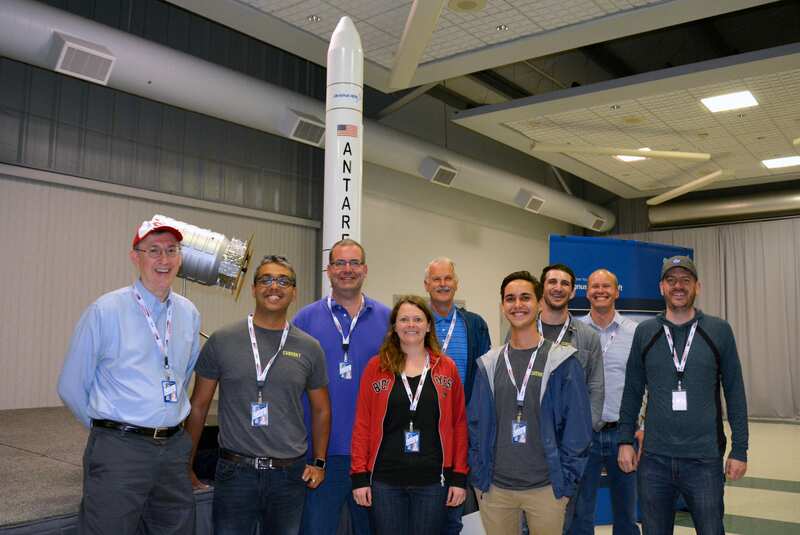 The CubeRRT launch is now scheduled for March 14th, 2018, onboard an Antares-230 launch vehicle. CubeRRT will be delivered to the International Space Station by the Orbital ATK Cygnus (CRS-9) resupply spacecraft, to be deployed sometime the following month. The cacophony of signals constantly at play on Earth – from radio traffic to cell phones and other communications systems – ultimately creates the white noise of human technology in action. In space, however, this cacophony is getting in the way of some important Earth science research – and it’s only getting worse as human technology advances. 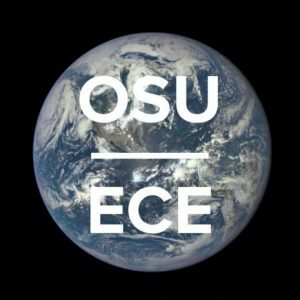 Joel Johnson, chair and professor of the Department of Electrical and Computer Engineering at The Ohio State University, is now leading a NASA program to help navigate the noise. Since 2001, his team (including graduate students Mark Andrews and Christa McKelvey, research scientists Andrew O’Brien and Graeme Smith, as well as associate professor Chi-Chih Chen) at Ohio State has focused on detecting and discarding manmade Radio Frequency Interference (RFI) from the Earth’s naturally fluctuating microwave signals. The technology is imperative for future satellite missions using microwave radiometry to observe Earth’s properties. 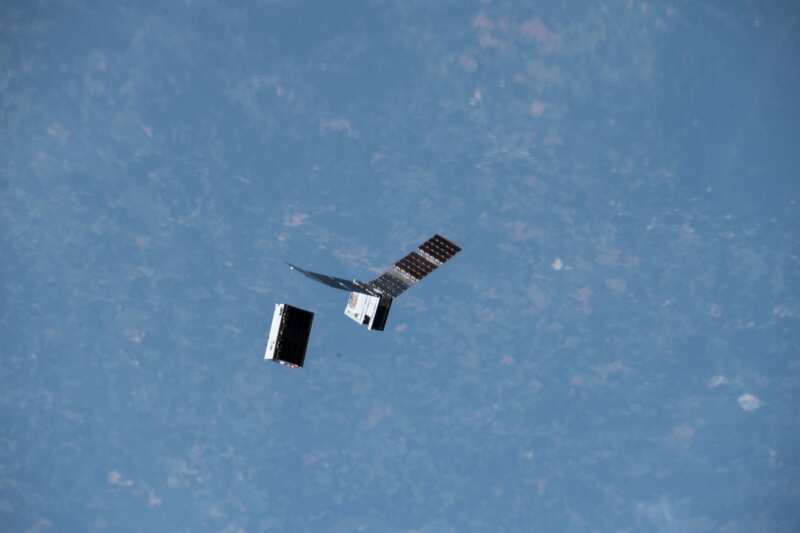 Johnson’s project, “CubeRRT: CubeSat Radiometer RFI Technology Validation,” recently received $5.6 million from NASA’s Science Mission Directorate to further advance RFI reduction technology. “Successful RFI mitigation by CubeRRT will not only improve the possibility of microwave radiometry in an RFI intensive environment, but may also allow future systems to operate over a larger bandwidth resulting in lower measurement noise,” Johnson said. CubeRRT is one of four projects selected for the In-Space Validation of Earth Science Technologies (InVEST) Program in support of the NASA’s Earth Science Division. 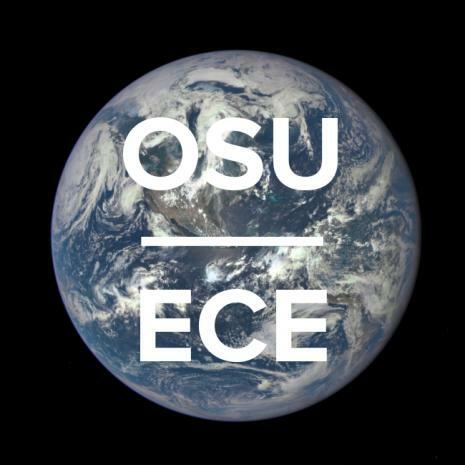 Ohio State is the only national university leading one of the four selected projects, and is working in partnership with investigators from NASA Jet Propulsion Laboratory and NASA Goddard Space Flight Center. The team will ultimately demonstrate RFI technologies for Earth-sensing microwave radiometers, enabling scientists to remotely sense global properties such as soil moisture, atmospheric water vapor, sea surface temperature, sea surface winds, and more. Johnson’s team contributed similar technologies for NASA’s Soil Moisture Active Passive (SMAP) satellite, which launched in January. SMAP is now helping scientists create the most detailed global maps of soil moisture to date, improving understanding of Earth’s water and carbon cycles, as well as the ability to manage water resources. Johnson said the team’s RFI system will fly in space as part of a “6U” (20 cm x 30 cm x 10 cm, i.e. the size of a shoebox) CubeSat, with a potential launch date as early as 2018. NASA’s InVEST program is targeted to small instruments and instrument subsystems that can advance the technology to enable relevant Earth science measurements in space. The first year funding for these investigations is approximately $9 million dollars. Read the full Ohio State award announcement HERE.